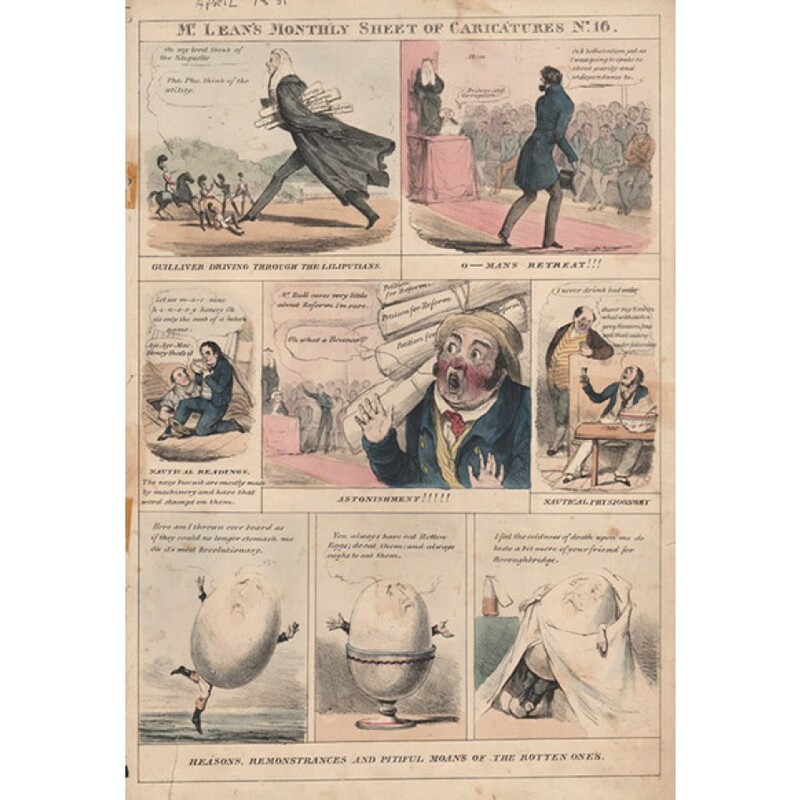 The Monthly Sheet of Caricatures had begun publication in London in 1830. 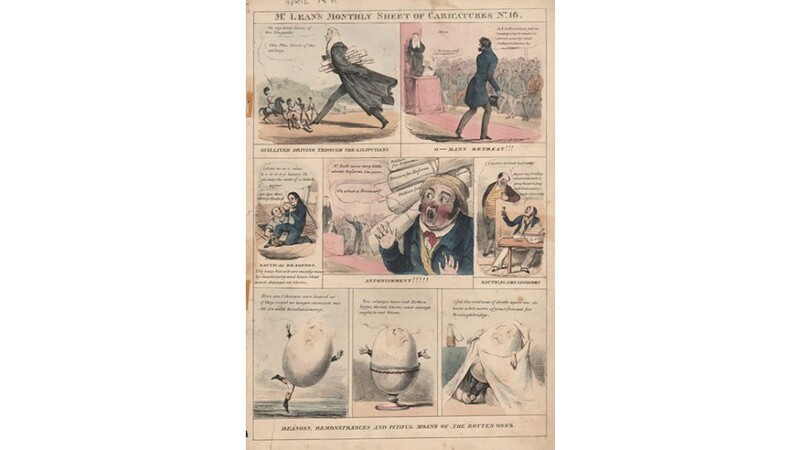 The publisher Thomas McLean issued hundreds of political caricatures during a great formative period of modern legislation with Robert Seymour and then Richard Doyle as his artists. Reverse blank. Perhaps from a folio. Old tape marks in left margin, old tape repaired tear bottom left. Some marks and foxing. Inscribed in ink at top 'April 1831'.